How Long Does a Fuel Injection Line Last? Most car owners are unaware about just how complex their fuel system is. In order for a car to run and operate as intended, many different components will need to work together. 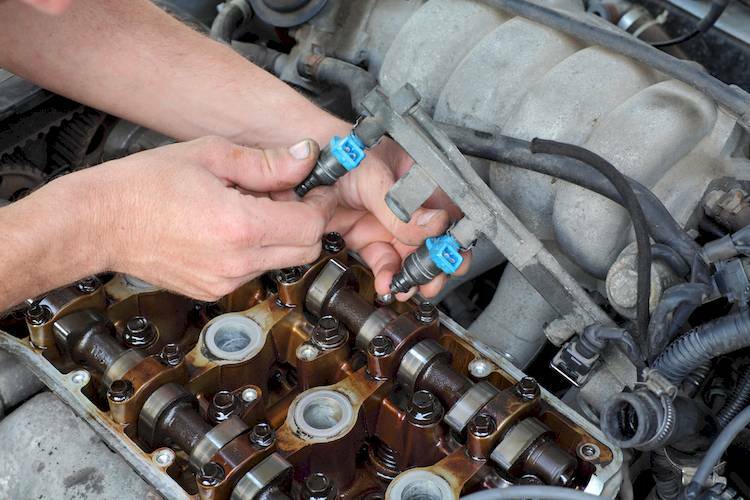 The fuel injectors on your car deliver gas to the combustion chamber when needed and help to maintain a steady flow of fuel when needed. The fuel injection lines help to deliver the fuel that is needed from the fuel tank to the fuel injectors. Any time that you crank the car, the fuel lines will have to deliver the gas that is needed for the combustion process. The fuel lines are made to last anywhere from 50,000 to 75,000. In most cases, the checking of the fuel injection lines is not part of the routine maintenance you will receive from a mechanic. If the fuel lines are leaking, it poses a fire hazard, which is why it is important to get them fixed when needed. In most cases, when one of the fuel lines is damaged, it is a good idea to replace them all to avoid further issues in the future. The fuel lines are the most common source of leaks in your fuel system and getting them fixed in a hurry should be a top priority. There will be a variety of warning signs when the fuel injection lines on your vehicle are damaged. Noticing these signs and acting will help to reduce both the danger and the damage that this type of repair can bring about. When dealing with the fuel system in a car, it is usually best to make sure that you let a professional handle it due to the danger that can result from DIY repairs. As soon as these signs are noticed, you will need to make concessions to get your broken fuel injection lines fixed. Q: Fuel gauge not working.